Is Facebook actually worth it? I don’t know about anyone else, but I have considered deleting my Facebook account many, many times. At first, Facebook seemed fun. You could connect with existing friends, meet new people who you go to school with, and share status’ and photos with other people. All in all, it was a great way to connect with others. As I have got older though, I feel as though Facebook is nothing but a troublemaker. You log on and see things you don’t want to see, and read things you don’t want to read. It messes with friendships, and it messes with relationships. Gosh, the amount of times I have been upset because of something I have seen or read on Facebook… I have lost count now. Obviously, Facebook isn’t all bad – Otherwise I wouldn’t have an account, would I? Facebook is a great way to connect with friends, arrange events and parties, play games, keep in contact with old friends…. The list could probably go on. I have considered deleting my account so many times, but there is always something stopping me. I hate the thought of being unable to contact people who I speak to on Facebook. I hate the thought of parties and events being arranged, and because I am no longer on Facebook, I get forgotten. I hate the thought of being forgotten in general, to be honest. If you update your status or upload photos regularly, people notice that you are still there. If you deleted your account, would people forget you even exist? I am part of a group for my uni course on Facebook, and we arrange socials, discuss work and assignments, and plan different things on there. That’s probably one of the main reasons I will not delete my account. This is my dilemma. The good of Facebook definitely out weighs the bad, but surely if it is getting me down then I should delete it? I know that if I deleted my account though, it would drive me insane. I would feel the need to go on there and see what all my friends are up to.. or see if I am missing out on any social gatherings etc. Does anybody else have any thoughts about this? Who else feels as though you would be missing out on a lot if you deactivate your account? Or, who has done it already? I completely agree with you! I actually deleted my account a while back. It lasted about 6 months but then I went into my first year of university and it became somewhat vital to be able to communicate on it, especially for group projects and such. It’s very frustrating how ingrained Facebook has become in society, so much so that it is potentially a hindrance not to have it! I also don’t like how much data they store about you now. Ads etc have slowly increased and along with it their knowledge of us. I know all websites do it but on Facebook it is so blatant that I find it unnerving and off-putting. I never ‘like’ any brands/people/pages etc from my personal account any more for instance. I thought it was interesting at first, but like you, I see more negatives with it. I have an account, but I rarely use it. Having one active still is handy when needing to reconnect with old friends from time to time. Great post! You make so many good points! But I don’t think that you should delete your account. 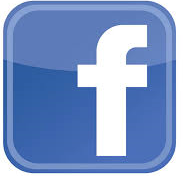 I’ve never been a huge fan of facebook but I use it just to communicate with others. So what I do is I leave it open on my phone and if I get a notification, that’s when I’ll go check it but if not, I won’t be going through my newsfeed because none of it interests me. So in a way you can stay away from all the drama but still be there when someone needs to get in touch with you! I absolutely agree with you on the fact that Facebook is a troublemaker. And is quite useless if you don’t post pictures and stuff daily. I considered deleting my account a few times because of some stupid things I’ve seen, however, it never caused any trouble to me. And I do think it’s the easiest way to stay in touch with people (old friends and school mates mainly) that’s the reason why I did not delete my account. I think Facebook can be useful but shouldn’t be used too often and people shouldn’t share some things that might be too personal for online networks.